DOT sign indicating the subsurface of the road my be compromised. 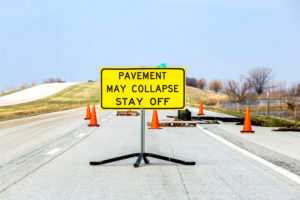 Representatives of the Iowa and Nebraska Departments of Transportation provided an update Thursday in Council Bluffs on work to reopen stretches of major interstates and highway in western Iowa and eastern Nebraska. They were able to open I-680 from the Nebraska border to I-29 north of Council Bluffs for one lane travel in both directions. 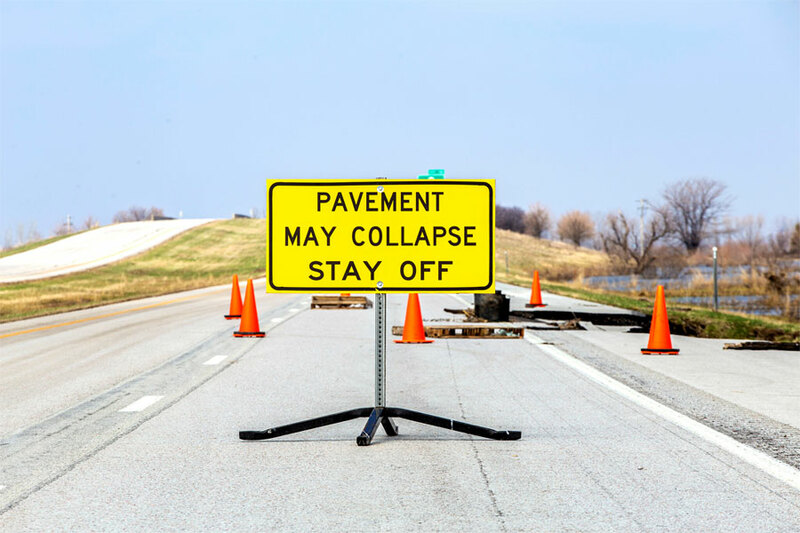 Lowe says perhaps the most damaged road is Highway 34 that stretches from I-29 in Mills County to the Nebraska border. He says they have started work on redesigning the roadway, but is one impacted by damaged levees. In total, Lowe estimates the flooding could cost the state between 70 and 90 million dollars in road repairs, plus additionally money that is needed to fix county roads. The DOT has already started the process of getting emergency bids for the repairs.